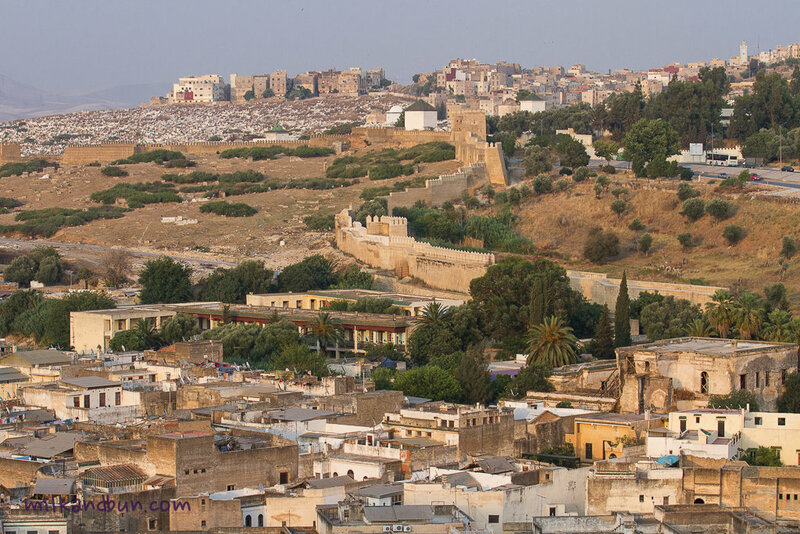 Lamb is a very popular type of meat in Morocco and Arabic countries. This stew gets Moroccan flavours from a mixture of aromatic spices such as ginger, turmeric, thyme and cumin. Would be nice if you could find a dried lemon, it adds slightly citrusy aroma, or you can use preserved lemons which are widely-used in Moroccan cuisine. This hearty and tasty stewed lamb with aromatic saffron rice is perfect to share with you family! 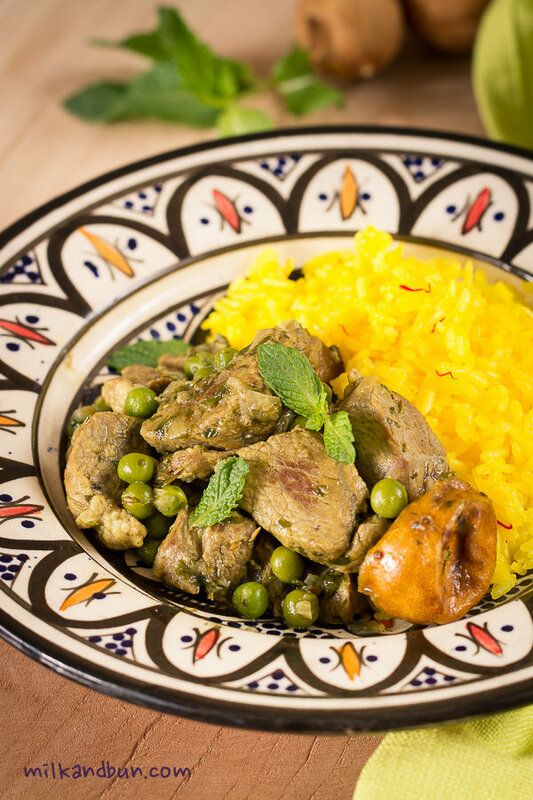 Moroccan lamb with peas and saffron rice. Heat one tablespoon of olive oil in a large saucepan. Add lamb pieces and brown all over; remove to a dish. Add more olive oil and onion, fry on a low heat for 5 minutes. Add garlic, spices and lemon and cook for a minute more. Add water, give a good stir, return lamb to the saucepan and season to taste. Bring to boil, reduce the heat to very low, add thyme, cover with a lid and simmer for 50 minutes. Add peas, chopped parsley and mint, cover with the lid and simmer for 10 minutes. Open the lid and simmer for 10-15 minutes more to reduce the liquid a bit. In a saucepan, bring water to boil, add saffron, turn the heat off and leave to infuse for 15-20 minutes. Wash the rice, drain. Heat oil in a pan, add rice and stir well to coat evenly in the oil, stir-fry for a minute. Add rice and salt to the saffron water, bring to boil and boil for 1 minute. Reduce heat to very low, cover with a lid and cook for 9-10 minutes. Turn off the heat and leave the pan covered for 8-10 minutes. Add butter and fluff with a fork. May18May 18, 2015 • By milkandbun • This entry was posted in Grains, Meat and tagged cooking, Dubai food blogger, food, food and recipe, food photo, food photography, food styling, lamb, meat, Moroccan, Moroccan lamb, Moroccan lamb recipe, Moroccan lamb with peas, Moroccan stew, photo, photography, recipe, rice, saffron, saffron rice, stew, travel photography. Bookmark the permalink. What cut of lamb would you suggest? In my neck of the woods, it’s either lamb chops or lamb leg. I am definitely making this! What a wonderful dish full of flavor and color! Love your plate too, it just shows so well. What a great dish. I love lamb and Moroccan spices. Beautiful photo too.